ORLANDO, Fla. — There may be no "Justice for Barb" at Universal Orlando's haunted house based on the Netflix hit, "Stranger Things," but the beloved, ill-fated character does appear in grand, gory style. The "Stranger Things" house is one of 10 haunted houses built for this year's Halloween Horror Nights, the most haunted houses ever in 28 years of celebrating all things horror at the Orlando theme park resort. "Stranger Things" haunted houses also are at Halloween Horror Nights celebrations at Universal parks in Hollywood and Singapore, running from mid-September to the beginning of November. Patrons walking through the "Stranger Things" haunted house follow the plot contours of the first season. There's the shed where Will disappears, the Byers home where letters on the walls and Christmas lights help Joyce communicate with her missing son, the hellish Upside Down world, the lab where the malfeasance begins and even Eleven's frozen waffles. Oh yeah, there's a monstrous Demogorgon seemingly around every corner, ready to scare the bejesus out of you. "Boom, a Demogorgon pops out and tries to get you. But he misses you so he tries to get you again over here," said Patrick Braillard, creative development show director at Universal Orlando, walking recently through the haunted house — which is really a maze of rooms in a back-lot studio at the theme park resort. Tongue firmly in check, he added, "There's just one Demogorgon hunting you." 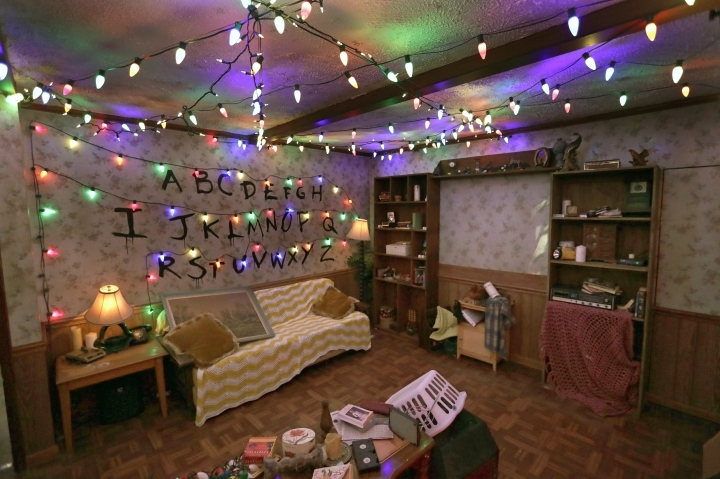 Netflix and the show's vendors worked with Universal to make sure the bed sheets and the wallpaper in the Byers house was the same as in the TV show. And, of course, there's Barb. Unfortunately for fans, Barb's fate in the haunted house is no different than in the TV show. "Hashtag, 'Justice for Barb,'" Braillard said.